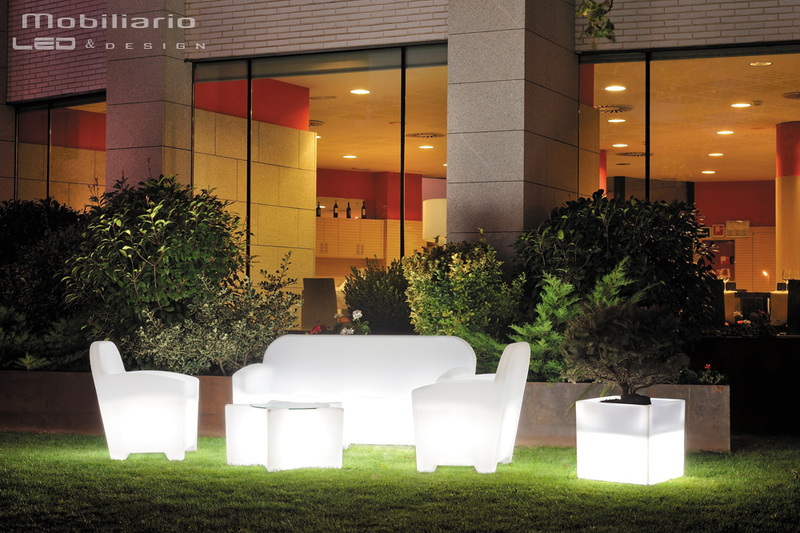 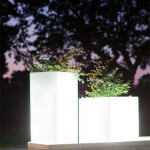 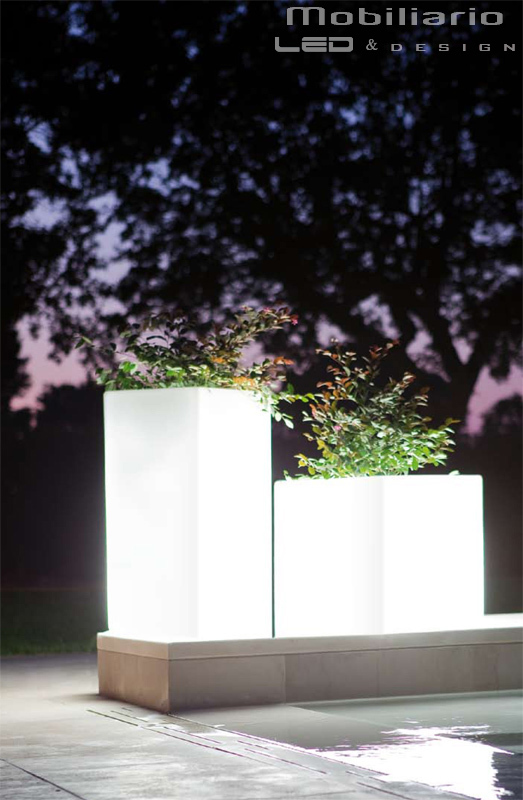 will contribute to give your garden a special ambiance. 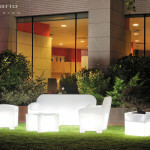 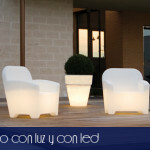 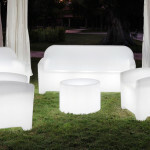 Among these items we include chairs, sofas, armchairs and tables, all fitted with LED lighting. 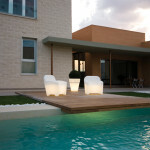 Flower pots and ice-buckets are also available in different shapes and colours. 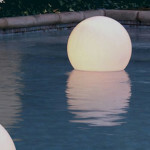 You can decorate your pool with different shaped, floating LED lighting -all battery rechargeable- , available in all possible colour combinations. 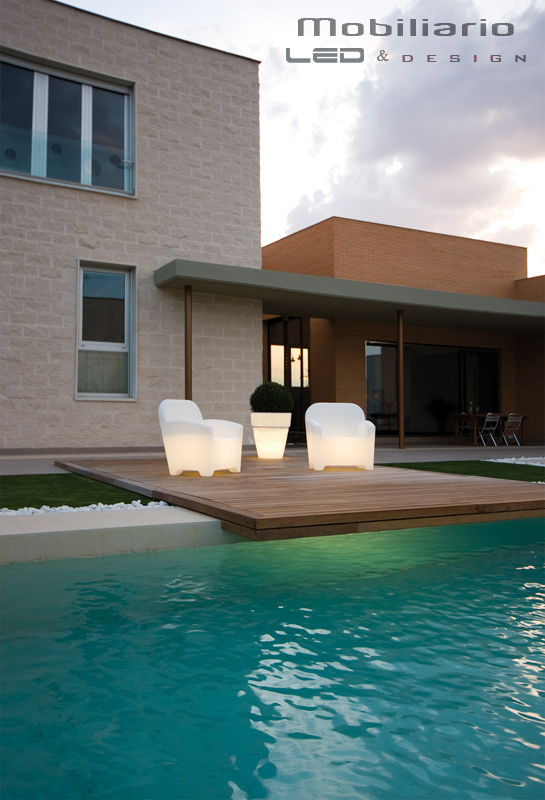 Visit our display in Piscinas Jiménez, where we will be willing to give you more detailed information and guidance.